Need inspiration for your vacation? Prepare yourself, because eastern Indonesia has many spots to offer. 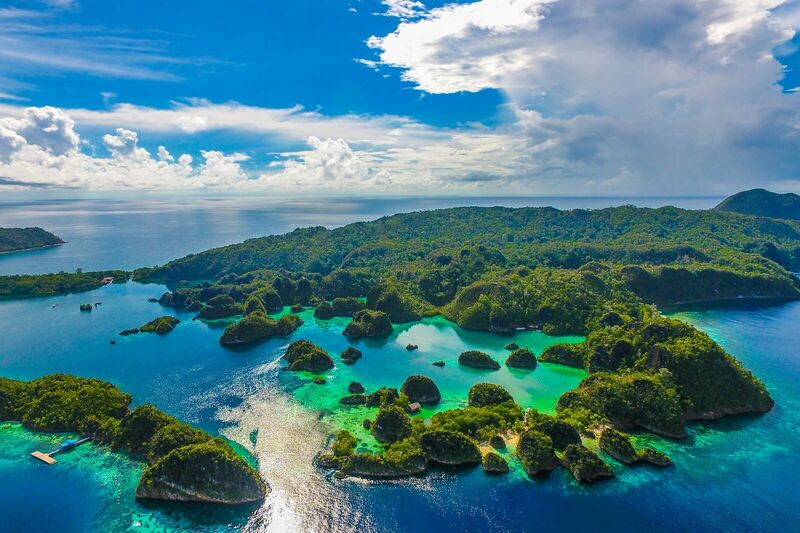 The popular site that most people know when it comes to eastern Indonesia is Raja Ampat, Nusa Tenggara, and Maluku, which entered the standard area of WIT time. But, eastern Indonesia still has many places for you, including dive sites for divers lovers. Day 3 : Tatawa Kecil Currents in here can make the diving more challenging, but the side pinnacle makes it a lot of fun. At depth 20 until 25 meters there is a collection of cracks that can harbor anything from white tip reef sharks to cleaner shrimp. Schooling fairy basslets fight the current, this is a beautiful site packed with unique topogrpahical features and stunning corals. Raja Ampat is perfect for liveaboard diving but there are island based operators for those who prefer on land. Raja Ampat is not an easy place to access in Indonesia but don’t let this stop you because the effort is more valuable. The island’s landscape is as stunning as the underwater reef. Diving in Raja Ampat is a dream for divers for various reasons. Day 1 : Cape Kri Cape Kri offers phenomenal diversity of extraordinary biomass and some interesting currents. Tanjung Kri is a great place to watch hawksbill turtles on coral reefs, everything looks lively and colorful in spectacular shallow waters. It is very rare to see a dugong when you are in Tanjung Kri, but don’t be disappointed because many of marine life you can see scuh as dogtooth tuna, whitetip and blacktip reef sharks, and critter opportunities such as nudibranch, scorpionfish, and pygmy seahorses. Day 2 : Mike´s Point This site boasts unique topographical features, stunning soft corals in the shallows with a little current. The site can be dived from east to west, depending on the direction of the current. Biomass in here particularly can be seen when the current is running, it is unusual to see large schools of sweetlips, fusiliers, batfish, and barracuda. Day 3 : Melissa´s Garden This dive sites really suitable for all level of divers it relatively has a simple current and perfect for the beginners. Also, it is a unique nature reserve, home to a marine world that reveals to us the beauty of the wild in a place still intact from mass tourism. Divers can see many brightly colored nudibranchs and many anemone fish nesting between the anemones. Divers will be able to see many different species of this brightly colored fish. Divers will also be able to see rabbitfish, sea snakes, lionfish, angelfish and pygmy seahorses. Ternate has 8 small islands in North Maluku. Generally, ternate consists of mountains and hills with altitude diversity. In addition, Ternate also has several interesting spots for divers to be able to enjoy the natural beauty of the underwater. Day 1 : Sulamadaha ( Ternate Island ) Although Sulamadaha has black sand, its beauty is not reduced at all. The community around mentioned this dive site with Hol, it takes about 10 minutes to get to the dive site. Glass-clear waters are the main attraction of this place. This is one point that can be a location to see the beauty of the underwater. Here live various types of fish such as harlequin fish, puffer fish, and Tutul grouper. The coral reef here is also amazingly beautiful. Day 2 : Failonga ( Tidore Island ) In Tidore, you can dive on Failonga Island on the way to approximately 40 minutes from Ternte, which lies between Tidore Island and Halmahera Island. It has a variety of marine life such as big snapper, fusilier, sweetlips and sharks. In addition to Filonga Island, you can also dive on Maitara Island and Tanjung Rum, which have dense coral cover and are very hard with colorful reef fish such as butterflies, anthias, wrasse, and more. Day 3 : Black Rock ( Hiri Island ) This dive site is located on the north side of Hiri Island (an island in the north of Ternate) that faces directly to the high seas, to get to Black Rock can be accessed by boat. The main attraction of this point is the school of fish, sometimes various sharks like greyreef, blacktips, white tips, parrotfish and bumphead. The coral attached to the stone wall beautifies to be used as a photographic object. Unstable currents always change depending on weather and circumstances, so it’s better for divers to do it in the morning. Dive sites in eastern Indonesia are amazing places to enjoy, underwater life that is difficult to find can be found in several dive sites on ternate island, tidore island, and hiri island. Although there are some extinct creatures, this is must be protected by us so that it can breed well. Although some places are difficult to access, afterwards until the destination all will be paid off with stunning beauty. Eastern Indonesia is a paradise and a dream for divers because its unparalleled beauty makes tourists always visit to stop by and enjoy the beauty of eastern Indonesia.